Well, today is day two of my quick trip to Detroit, my hometown. As a young boy, my brother, friends and I would ride our bikes over to the Redford Theatre to see movies. For 50 cents, we would watch the old Batman serials on Saturday, the latest Billy Jack movie, or the latest Planet of the Apes movie. I remember once going with my parents to an evening showing of the original “Willard” movie. The place was packed and for its day, “Willard” was pretty darn scary. The Motor City Theatre Organ Society now owns the theatre and have done a great job of restoring the place. Here is a brief history of the Redford Theatre. To learn more about it or to help financially keep this magnificent theatre running, please visit their web site at http://redfordtheatre.com/index.htm. 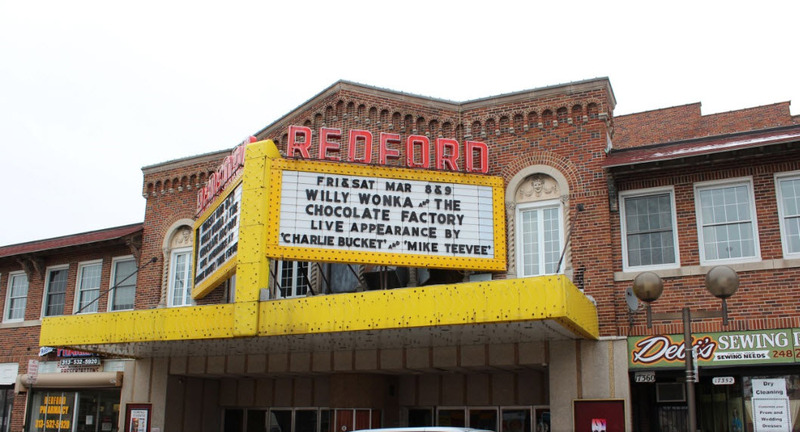 The Redford Theatre opened on January 27, 1928 as a neighborhood movie house. It was billed as “America’s Most Unique Suburban Playhouse.” The theatre, with its three-story grand foyer and full-size stage, has been in continuous operation ever since. This was fortunate, since it enabled the Redford and its theatre organ to escape the ravages of neglect that resulted in the destruction of many movie palaces. Silent films were still being produced when the plans were made for the theatre, so a Barton Theatre organ was installed as the theatre was being built. 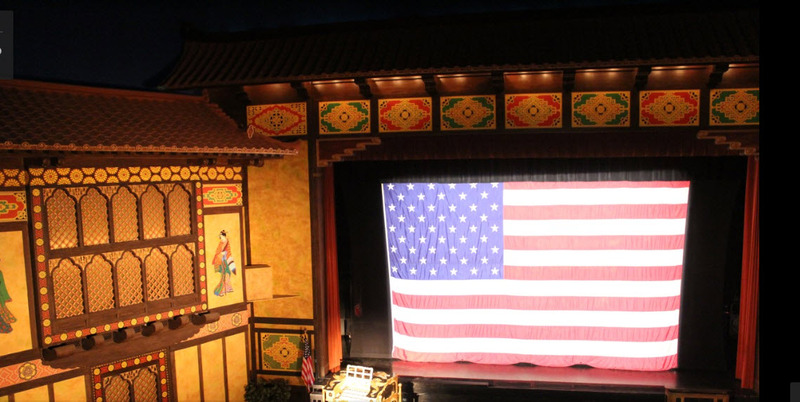 The theatre was designed with a Japanese motif. That design included appropriate decorations on the organ console. During World War II, much of the Japanese-style decoration was removed, painted over or covered up. As the theatre continued in operation, the pipe organ was used less and less frequently. Eventually heavy draperies were hung over the organ grille work. The Motor City Theatre Organ Society (MCTOS) became interested in the Redford Theatre because, while many pipe organs had been removed from theatres, the Redford’s instrument remained intact. The Redford Theatre and the Fox Theatre are now the only two theatres with their original theatre organs in the metro Detroit area. MCTOS entered into an agreement with the owners of the theatre to voluntarily refurbish the organ and use it to present shows. The organ shows were very successful. However, the audiences for the movies being presented by the owners of the theatre dwindled. This was part of a national trend that saw many large theatres either divided into smaller auditoriums or demolished. A theatre the size of the Redford (currently 1,661 seats) became a liability, instead of an asset. In spite of attempts, by the owners, to bolster attendance, the theatre became commercially unprofitable. The owners of the Redford Theatre offered to sell the organ, building and grounds to MCTOS. MCTOS took a giant step and purchased the theatre on a seven-year land contract. At the end of the land contract, MCTOS was able to make the balloon payment and became the full owner of the theatre. Work on the building, since that time has been continuous. In addition to maintaining the 1928 infrastructure of the building, MCTOS has replaced the furnaces, repaired the roof, brought the electrical system up to current code, replaced the carpeting and resurfaced the parking lot. In addition, countless hours of volunteer labor have been expended on restoring the original Japanese motif. The projection and stage facilities have also been upgraded. The projection booth has 2 Norelco projectors capable of presenting 35mm and 70mm film programs. The projection sound system is capable of up to six channel stereo sound. The recent donation of a Dolby CP-100 processor enhances the projection capabilities even further. The stage has seen the replacement of the grand drape and the huge 20 ft. by 40 ft. screen. Thanks to a substantial grant from the Redford Community War Memorial Association, a new computerized lighting control system has just been installed to replace the 1928 Bulldog light control system. This progress was made possible by the generous donations of money, time and materials, both from members and others interested in the preservation of the theatre and its original pipe organ. Admissions to the many shows and programs presented in the theatre are another important source of income. Rental of various parts of the Redford Theatre building and grounds also contributes to the operating budget. In addition to the auditorium, the theatre building includes stores on the ground level and office space on the second level. The stores are currently occupied by a bakery, a beauty salon, a pharmacy and a barber shop. Several of the second floor offices have been used by The Detroit Filmmaker’s Coalition, a society of independent film producers. Even the parking lots provide a source of revenue through the leasing of space by local businesses and an agency of the state government. The marquee looks different now than it did when the theatre opened more than 70 years ago, but through the efforts of MCTOS members and friends, the Redford Theatre continues to provide entertainment and education to audiences of all ages. Through the donation of money, materials and countless hours, the maintenance and restoration of this historic building, and the unique theatre organ it houses, continues. The Motor City Theatre Organ Society’s non-profit status as a 501(c)(3) organization allows donations to the Redford to be fully deductible for tax purposes. Source: The Motor City Theatre Organ Society, The MCTOS Redford Theatre, http://redfordtheatre.com/index.htm. I am in the process of putting show together about the Redford Theater which airs on Comcast in the Downriver area of Detroit and is online at http://www.cultpop.com. I am contacting you to see if I can have your permission to use some of your photographs in the show. Yes, I found them all on various web sites years ago.